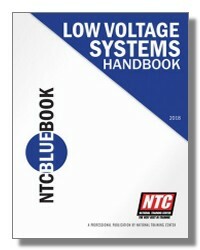 The NTC Blue Book is the authority on low voltage systems. 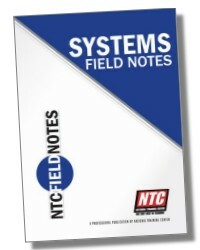 This one of a kind reference provides important information on a wide variety of modern electronic systems. This book includes application based information. It is designed to provide workable solutions for the technical challenges presented in the low voltage industry today. Low Voltage (Security) Systems (Design and Installation) Handbook focuses on the requirements for the major categories of systems. These include Security, CCTV, Fire Alarm, and Access Control. The Security section of the book provides detailed information on specific applications and product which can be employed to provide detection. The CCTV section covers the major subjects in modern surveillance systems. This includes proper lens selection, storage requirements and digital video recording and alternative means of signal transmission. The Fire Alarm section covers the basic code requirements for fire alarm systems and how to actually employ them in real life jobs. 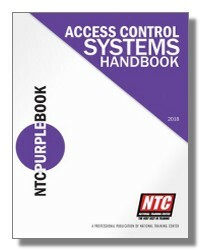 The Access Control section focuses on how to design access control systems to meet the need of your customers. This book also covers such important product categories like Commercial Sound Systems, Residential Audio/Video Systems, Home Automation, Intercom and Nurse Call Systems. Low Voltage Systems Design and Installation also covers those categories which may not be at the forefront of the industry, but they play an important role in the industry. These systems include Telephone Systems, Electronic Article Surveillance, and Gate Entry Systems. The Low Voltage Systems Design and Installation book will become one of the most important tools available to your company and your staff. It has an easy to use format which makes finding information easy. The book also uses pictures and diagrams to illustrate the important aspects of systems design and installation.